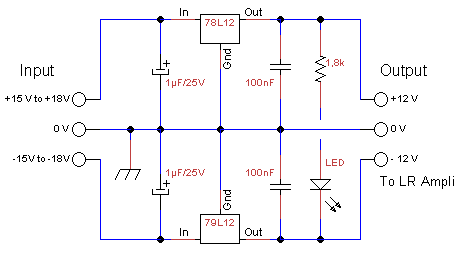 Simple symmetrical power supply for LR amplifier. Sometimes we can have difficulties to find a symmetrical power supply +/- 12 volts or +/- 15 volts to supply the LR amplifier manufactured by Frank* or by Daniel*. Here a solution with very small price, whose material is everywhere. 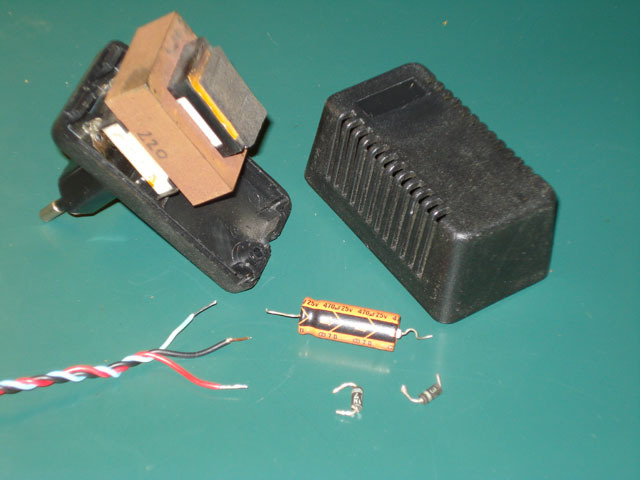 It is quite simply a small universal transformer 12 or 15 Volt with an output jack. You can use a transformer of 3,5,10,25 … Watts, but only 3W or 5W are really necessary. Caution! The small universal power supply must be a low cost model, because the last models high performance are non-modifiable switching power suppliers. The only difficulty is to find a capacitor of 100 or 220 or 470 or 1000µF. (we can recover it on another transformer for example). Even if you are not gifted in electronics, the realization is extremely simple and requires only less than 10 weldings. 1. Open the small transformer. (It is necessary to have a transformer with a screw for the opening, or to force the opening in a vice for example). 2. Locate the 4 diodes and the capacitor of filtering. Cut this circuit but keep 2 diodes and the capacitor. 3. 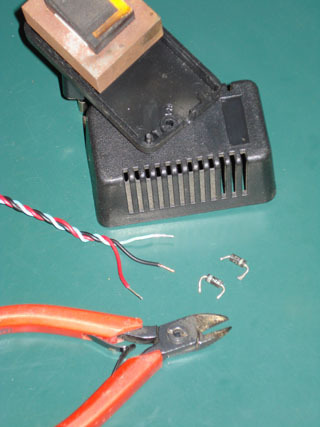 Weld the 2 diodes onto a wire of the secondary of the transformer, then the 2 capacitors, and the cable with 3 wires, as on the diagram, to be able to connect the power supply on the amplifier LR. If possible, check with a voltmeter if the supply voltage is approximately of +15V and -15V compared to the wire of 0V. 4. Close with crew or stick the small case. 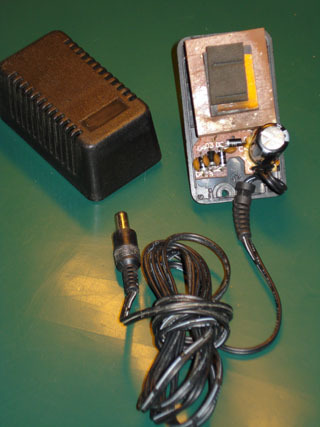 That's a perfect power supply unit for the LR amplifier. * This assembling will be able to supply directly the amplifier of Daniel, but for the amplifier of Frank, it will be necessary to envisage an additional module for the voltage regulation. (See below).